Can we see the report anyway? You could go on his Blog and click on it. I don’t know if that was the whole piece or just the front page though Darryl. I’ll update the post with that link as well. He called me a pervert! Seriously Derek, do you really believe that any LGBT person who read those articles, or mine, wasn’t actually offended and just said they were to make trouble for Clear? Because Peter’s excuse, that he was trying to provoke, just means that he knew what he was writing would be incredibly offensive to people who care about LGBT rights, and he did it anyway. Be sure I have a hostile attitude to Peter Reynolds, as I do to every unrepentant homophobe and racist. What I can’t work out is why, why on earth you would leave a comment on someone else’s blog after becoming leader of a political party and say you were made bankrupt in 1992 when you weren’t. It makes no sense to me whatsoever, and I’m extremely skeptical of my findings, because its seems so ridiculously far fetched to believe that Peter would just add a bankruptcy to his history – it’s not in any way flattering to admit. Hence my saying that I haven’t found evidence for it “yet” – I just can’t believe that he would just make up something like that. Ouch! So all this is because you got offended by something that Peter said about Lesian, gay, Bisexual and transvetite rights? Please, get a grip. Seriously you are coming across as someone who just wants to attack Peter for any reason you can dig up. Enough, please. Keep personal stuff out of drug law reform campaigning. Peter is a person of strong views, not all of which I came close to agreeing with but he is a damn effective campaigner who ahs takent he cananbis campaign from the gutter of ridicule to being a serious campaign. What are you wanting to do? Stop all that? No, you asked me why my writing betrays a hostile attitude to Peter Reynolds. That is why. Also, no-one has used the term transvestite in, like, 20 years. If you genuinely don’t believe that the fact that Peter has repeatedly called gay people perverts is outrageous, then I don’t know why you bothered to publish Clear’s equal opps policy today. Sarah – I think the critique in your previous blog is important and their are clearly serious issues with Peter and his leadership that urgently need to be addressed. Im pleased that despite my post on his blog (copied into comments in your previous post) not being published – indeed met with ill considered vitriol – suggestions I made that the blogs have been removed, an apology issued (albeit defensive and inadequate) and today a equal ops statement issued by the committee. this is all welcome – whether its enough i question, but thats another issue. And Peter – if youre reading this – stop making personal negative comments about people. There are no circumstances when that is appropriate, or useful to your cause in the long run. It will only make a bad situation worse. I would like to take point out that, while you said that the apology was defensive, I don’t consider it an apology at all. He basically says that he’s writing it to get people bothering him to stop, not that he in any way accepts that his writing was unacceptable to publish. And the equal opportunities policy isn’t a policy, it’s a statement that people shouldn’t be abused. A policy states how the organisation is going to enforce that policy, in recruitment, structure, review procedures, complaints etc. Hopefully by their Conference, that will have been fleshed out into something enforceable. I mean transsexual, not tranvestite, sorry. I know Peter prsonally, I have seen nothing to make me think he is a homophobe – and he certainly isn’t a racist, I know that for a fact. Sometimes we all have to compartmentalise our feelings about people. I pay by results and Peter has been a godsend to the cannabis law reform campaign. He may have other faults, noone is perfect. Are you? I’m sure I heard Eddie Izzard refer to himself as a transvestite v recently. Whilst I have no truck with people who hate other people for no legitimate reason such as their sexual orientation or preferences, I don’t think it helps that cause to bollock people for not being up to date with the lingo – eg saying ‘trannies’ etc unless that reveals are real prejudice. Yes, language for those in the know moves on, you know, being ‘bad’ means you are good, something ‘sick’ is actually also good and not disgusting as it used to mean – and I say this as the ultimate stickler for language with drugs matters, really there is no point in all this ‘offence’ unless it is meant or actually means anything. The gay peversion remarks from Peter do carry weight, and need sorting. I also agree the appology was crap – it shows no self-awareness, its just a ‘move’. Legitimate questions need to be answerred and not dismissed or result in threats and insults, but both ‘sides’ really ought to cool it as vacuous accusations will have a paradoxical effect wherever they are pointed. Eddie Izzard may be unique among cross-dressers and other trans people, I don’t know anyone else who uses transvestite these days. Wikipedia has relegated it to a history article. But I’m not offended by Derek’s comments, and I didn’t say I was, I just said it is a very out of date term. Perhaps see it as a generic issue that many causes are often concerned with having exclusive understanding of terms to actually preserve a clique, to differentiate their uniqueness from the rest, it’s a game of catch up for the rest of the world. I sometimes feel sorry for old folk trying their best, referring to ‘coloured friends’ etc. Yes, words have meanings, and these are often as much about what we impute into contemporary cliches and terms as what can actually be objectively defined, or more important, intended by their use. You may have to forgive me as I was brought up with the Rocky Horror Picture Show being the ultimate in liberated expression, like you say, more than 20 years ago – I don’t even know what offends about any of it – I don’t think the sweet transvestite from transexual Transylvania wanted anyone to take themselves too seriously. Alternatively Andy, it could mean I’ve actually met the bloke and had a fair amount of dealings with him, which is actually the case. 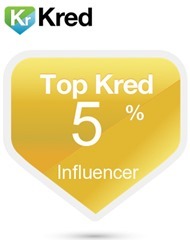 You, however, have read a few blog entries… Yeah, right. I agree re his blog posts and apology – Im not defending him on that front. I cant imagine any other political party where someone who had written what he did – and then defended it in the way he did – would still be in post. Claiming it was designed to be controversaial and that he should have chosen he words more carefully doesnt quite capture it does it – nor does the apology for the offence but not the content comments, nor the laughable – ‘Ive got a black friend’ trope. Sadly it now reflects very badly on the rest of the organisation too who are defending it all. tbh Im not interested in him personally, and the tedious infighting in and around Clear even less so. Its a great shame for Clear that was making progress of sorts, and is now a busted flush. I am interested in drug law reform as evidently are you. Hopefully clear will sort itself out but im struggling to see how. Id suggest cannabis campaigners would be better off backing Release or NORML, for the time being anyway. 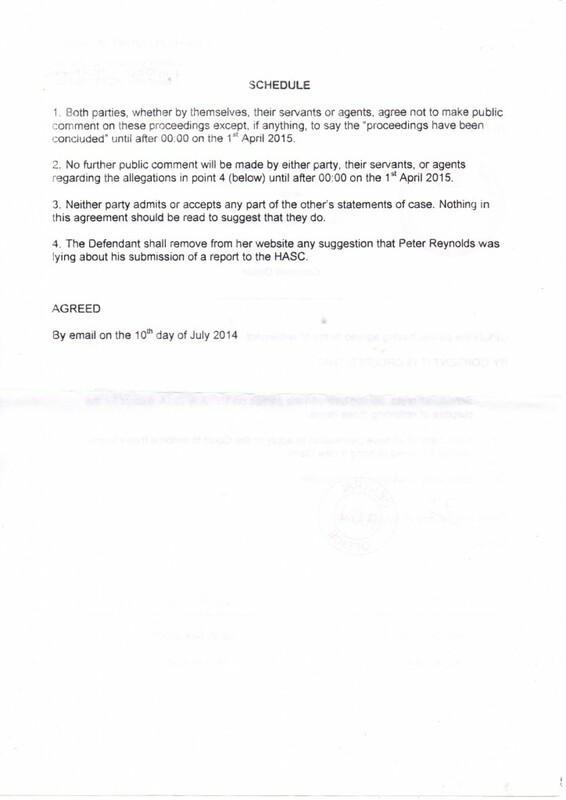 Peter Reynolds – YOU ARE A LIAR. 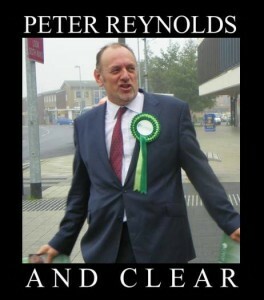 Peter Reynolds, the leader of CLEAR, is fighting for his political survival, along with Derek Williams, Janice Wells and Mark Palmer who are all complicit in maintaining the deception that CLEAR has a seven year history, when in fact CLEAR was only formed at the end of March 2011. This makes four current members of the current CLEAR Executive Committee who need to resign from their posts. An apology will not be enough for this gross deception in attempting to obliterate the history of the Legalise Cannabis Alliance and falsify the foundational history of CLEAR. Dishonesty in any form is totally unacceptable, but more so especially when it is perpetrated by members of the Executive Committee of a UK registered political party. 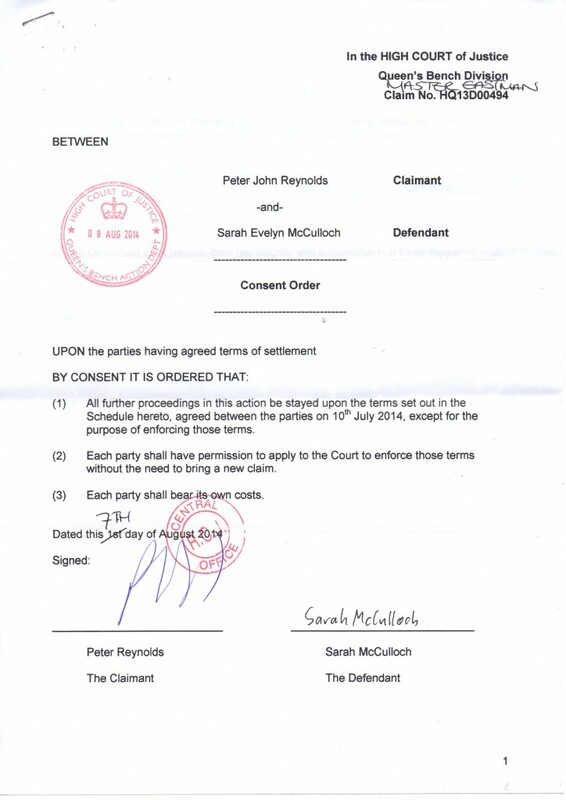 It would appear that Mr Williams is also fighting for his political survival, along with Peter Reynolds, Janice Wells and Mark Palmer who were all complicit in the deception that CLEAR has a seven year history, when in fact CLEAR was only formed at the end of March 2011. This makes four current members of the current CLEAR Executive Committee who need to resign from their posts. An apology will not be enough for this gross deception in attempting to obliterate the history of the Legalise Cannabis Alliance and falsify the foundational history of CLEAR. Truth: CLEAR has only existed since March 2011. In this respect, Mr Williams cannot do any better than to launch Ad Hominem attacks against myself and others instead of replying to the points that are made by other commentators. It seems quite hard to believe that it was only nine months ago that myself and Mr Williams were investigating the dubious background of Mr Reynolds – a previously unknown person who claims to have been a campaigner for over thirty years. But there again, it’s not so strange really, when one think about it seeing that the whole foundational history of the UK political party CLEAR is based upon lies and deception. PETER REYNOLDS – RESIGN FROM THE LEADERSHIP OF CLEAR – AND TAKE YOUR SUPPORTIVE EXECUTIVE COMMITTEE WITH YOU. Could you both not insult each other on my blog please. Jayell, you just like an argument. A year ago you were putting the boot into Alun Buffry, now you’re doing it to Peter. Oh, and BTW, I don’t re-write history, everything I wrote originally is still there unedited, I invite you to compare your archive page to what I have online. I pay by results, he said he wanted to do something and unlike so many people – including you Jeyell – he got off his bum and actually did it. He came up with the goods; a cannabis law reform campaign free of the dreadful image the LCA had created. Hence I am now supporting his efforts and I am willing to speak out on his behalf. He has done far more for the cause of cannabis law reform that people like you Jayell – far, far more. Watching you guys is like watching a pack of dogs all barking and snarling together. Could you both not insult each other (or call me a dog) on my blog please. Sorry Sarah, but this nasty attack on Peter has gone on for too long now. Yes, I agree his blog comments were out of order, blogs are dangerous and unwise things to vent spleens into. You are fairly new to the scene I think, but a lot of the others aren’t. The mob behind all this have been around for ages and sadly I know most of them from previous experience – some I actually know as people. They have argued with themselves constantly over the years, now they all join together to attack Peter. I am not denying that there are people who have long-term and bitter grievances against Peter Reynolds. However, this does not mean that it is OK to compare me or people with whom you disagree to dogs. As one of the leadership team of a political party, you must surely realise that writing such things to people does not reflect well on you or Clear. Please do not write such comments on my blog. Sarah, I didn’t compare you to a dog, my analogy was to a pack of dogs – the analogy was to the idea of a pack – or a gang of bullies if you prefere. I think you have twisted my meaning more than a little to be honest, and you repeated it. Do shut up Derek, do you still go to Cambodia? I am intrigued by “Get you Ducky” who asked on Jan 15th do I still go to Cambodia? I wonder what that is supposed to imply? As it happens, the answer is “no”, I don’t. I haven’t been to Cambodia since 1994 when I did a back pack trip there as soon as the place opened up after the Poll Pot nightmare. But that’s another story. As an ex member of CLEAR and being new to the cannabis activist scene, I would like to suggest to you Derek that your loyalty is misplaced.I am no where near as experienced as yourself in activism and have no idea of the internal politics of the CLEAR party.What’s more, I really don’t care.I became a member in order to forward the cause for the regulation or at least decriminalisation of Cannabis in the UK.I did not sign up to get embroiled in a scandal that has no doubt tarnished CLEARS name for now and possibly the future. I am not and have never been one of those people who have been attacking Peter over the years.I do not have a facebook account and can only get a brief account from here and there of what actually went on.I am however able to read and know an intolerant and bigoted person when I read their blogg.You admit yourself that his bloggs were out of order.How do you think then I feel as the son of immigrant parents reading that kind of vitriolic rubbish?His apology, as it was, was needed.It was however not enough. I had no intention of sacrificing my position on intolerance and bigotry for the good of the cause, that’s why I left CLEAR last week.Erasing my posts on the CLEAR site was very sinister and insincere.Dictators do that kind of thing. Can you not understand that his presence at the helm of CLEAR is a disaster waiting to happen, now or in the future.He has become a liability. As it is I no longer trust him, I no longer have trust in CLEAR and I no longer feel comfortable knowing that CLEAR has my personal details on file including my address. I am in the position to say to you, without any malice, that Peter Reynolds should resign or hand over leadership of clear to someone less controversial immediately for the good of the cause. I fear however that it may already be too late. Nothing is too late, the LCA were not performing and Clear was built upon the same flawed premise. I see Clear promise a lock stock review with everything on the table – if they actually are prepared to rip it up and start again there is hope. Dirty, One reason I don’t think my loyalty is misplaced is, as I said before, I know the people who were attacking Peter, I know they’ve done it before and will probably do it again. I also know Peter is no racist, as I say I have had some dealings with him in person now, not just via the web. Knowing people in real life is very different to knowing them from what they write on the web. His comments about immigrants in this country are shared by a great number of people who aren’t hateful toward people of ethnic origin, it’s a far more complex situation than pure racismt to do with cultural identity. I know a lot of people who I would consider utterly opposed to racism who have expressed not dislimilalr views to Peter regarding loss of national identity in recent years. It’s not a good situation we find ourselves in and some dangerous people are already exploiting the situation – look at Holland and Gert Wilders, it’s truely scarey. But surely we must be allowed to talk about it, or it’ll be like a pressure cooker and eventually explode. Also, I work in education and I have noticed over the past – what, 10 years or so – how many of the students who work hard, show the most dedication and get the best grades seem to be from abroad. UK educated young people generally seem far less motivated than those from Eastern Europe, Asia or Africa we have and they dont do nearly so well. That’s an oversimplification of course, but something is wrong in our education system and we have failed our young people badly. It’s not racist to observe this and to speak about it. As I read it,they were the points Peter was making in his blog, although he could have phrased it better. Good luck in whatever you decide to do about campaining for cannabis law reform, but whatever it is, please do it. Derek, you seem like a down to earth intelligent guy, which is why I can’t understand why you see no problem in someone posting a Nazi flag on their website with Israel written underneath and suggesting that the UK sorts out the evil Jews?! Whatever your side on the matter, the fact remains that certain opinions can be put across,,,how could I put it,,,LESS INTOLERANTLY! How do you think it feels to a Muslim to have Islam called evil?To suggest that we Brits go in and wipe them off the face of the earth? How many gay people would join CLEAR knowing that the leader considers them perverts? It’s hardly good PR now is it? And you still haven’t commented on why my comments were deleted. My point is that there are ways to put things across without being an obnoxious character and having to close your blog down afterwards.That itself looks very sus.For someone who isn’t a racist, he surely comes across at the very least as borderline. As for me campaigning on Cannabis reform I’m afraid this was my first and last foray into Cannabis activism. We Cannabis users are victimised enough and never taken seriously.CLEAR seemed to be a serious party which could have taken us forward and made our cause more mainstream and less of a joke. Now I can only imagine that as soon as the press and prohibitionist’s get a hold of this story, they will milk it for all it’s worth in order to discredit the Cannabis community and close down CLEAR. For all the good that has been achieved by CLEAR, it may now all come to nought.A party which fights for the rights of it’s members and the wider Cannabis community-medical or recreational-and denounces victimisation of users, cannot have a leader who is himself extremely intolerant. Darryl, you have made a lot of comments to the CLEAR blog but still haven’t come up with a plan of action. If you do then we can consider it, so far there’s nothing on the table to consider. The old LCA wasn’t functioning, CLEAR is and will continue to. The more input of real, solid ideas the better it will function. We’re still waiting. Let’s create a Charter for drug users based upon the reasonable rights we enjoy as citizens already, and what the MDA sets out to achieve in its original sensible mandate of reducing social harm caused by all kinds of drug misuse. We should set out to describe the circumstances where peaceful persons can be drug tested, searched, arrested etc from the workplace, public places and their homes. We should say what activities are reasonably outside the concern of the state and are private. We should say what access to self-medication is expected. We should say what protections the state should give to curb drug misuse. This could be done by us, it could be started by Clear, but a bit like the Vienna Declaration, it could be for all groups and people to sign. Peter is incorrect to lambast the notion of cannabis users ‘rights’ – these are rights for all people, all people are drug users, and its not just about us, it is about them. Yes, Peter is right we have to appeal to ‘them’, but we can unite people by being reasonable and showing people that its in everyone’s interest to get this right. Firstly the costs of drug misuse impact upon everyone, and secondly we all have an interest in preserving a proper balance of liberty and intervention across the board, and thirdly, as I say, we are all drugs users, and indeed we are all potential drug users. Even an ardent opponent may realise that a controlled medicinal drug might help them one day. inspirational document aspiring for a better world, you don’t enter the negotiation by aiming low and inviting yet more control. We must establish our demands, our fair and reasonable demands from the off. I think if this is done properly it will link the various factions better than any document done before. It will be correct and contemporary. The skills Peter has brought in marketing and PR will be vital, but we must start from ground zero about who we are as beings, what rights do we expect – it just isn’t right IMO to start with a regulatory proposal concerned with projections about fees, watts, inspections and plant counting. The Charter should not rule anything out, it should actually bring out the main principle of the law, ie the proportionate balance of rights and responsibilities for drug users, ie to curb drug misuse, not all use. I couldn’t agree more. How can I help? Derek, I am glad you have nailed your colours to the”Great Leaders” mast as such, As it seems you are content to defend the indefensible,it is only just that you sink with him in this mire of his own making. No matter what you say,Clear is tarnished now by being led by a racist bigot who has lied about his “credentials”, Could this be any worse,any self professed “political party” would have expelled any leader found to be airing these vile views and opinions. I’m intrigued as to wy you think I would “sink”, given I don’t crave a high profile anyway. I’m not a leader and I don’t ask anyone to follow, neither do I follow anyone else. My support for Peter is based entirely on his work and what he has achieved to date with CLEAR, which is significant. My position on cannabis law reform is laid out clearly on ukcia and I stand by that. CLEAR reflects the approach I support, therefore I support CLEAR. All I would add is I dislike bullies. all i see is peter bullying many medical users, and calling them trolls derek, his washing of hands of the bmcr caused massive worry and in some cases need for more medical help for some of peters “supporters” i have watched him call mature women who just ask a question be labled a troll, its not pretty to watch…. Thank you, Sarah, for your detailed Blog – very illuminating, thank you. Such a shame that DW has seen fit to use your blog space to pour out his hysterical defence of Mr Reynolds. he should understand the significance of the proverb “The lady doth protest too much”. Give it up, Mr Williams, the game is over, time to move on. So much is clear enough (Sorry for the pun). Time for a new, more balanced organisation to carry the cause forward. CLEAR is now surely dead in the water.. I don’t think so Martin. Interestingly since all this nastyness happened, CLEAR’s membership has grown by over 100, resignations – which were encouraged, were negligiable. By all means though do go and form another organisation if you think you can do better. No-one ois stopping you. Keep up the good work P.R. included truth does matter far to short of it as is !!!! [There used to be a comment here.] Was it deleted? No, I’ve never deleted a comment from my blog at all, let alone from here. But you are using a computer, after all, sometimes stuff disappears, the browser crashes etc. I appreciate the open discussion that is going on in this page. I understand why people feel victimized and prejudiced by PR, but I still appreciate his work. I personally do not like the idea of defending something that is branded homophobic, but I don’t find the article in question he wrote to be as offensive as some. I do have an objection to the use of the word perversion in this context however, and think this statement should be retracted as it a very outdated. He is trying to help the cannabis movement. If you do not want him representing you as a leader for the regulate Cannabis movement, then that is absolutely fine, but incessant calling for him to stand down would only be useful if you actually think the movement would progress if he did. In reality I don’t think it would, and I simply support a man who is doing good for a cause I believe in, despite his opinions on other matters. I just do not understand the mindset of people who are willing to concede that Peter Reynolds is both homophobic and racist but do not think that that matters to his leadership of Clear. I have written another blogpost about the political fallout from saying such things here. I haven’t actually called for Peter Reynolds to step down as a leader because I’m not a member of the party and I consider it inappropriate to do so – but I am surprised that people seem so blithely unconcerned about the fact that Clear is run by white heterosexuals who don’t seem to give a damn about gay or black cannabis users, of whom there are hundreds of thousands. It’s 2012! What happens if he goes and talks to a gay minister, or whom there are now three, and gets asked about it? What if he ever ends up on the Politics show with Diane Abbott? Boris Johnson marched at the head of Gay Pride London last year, you think he will be willing to engage with someone who goes around calling gay people perverts? Seriously, do you know what it means to actually go into mainstream politics and be subjected to “political correctness” that Peter Reynolds keeps going on about? It means that bigotry that your fellow members appear to regard as “quirky” will be dragged out and brought up in every interview, every debate, and condemned by pretty much everyone the news reporters think would be fun to quote him to. And with every single quote, more gay people, more black people, and more right on white heterosexuals with gay and black family members and friends will close their ears to Clear, because so many of the members are convinced that nothing matters more than cannabis law reform. Well, I think you are wrong, and I think that is being amply demonstrated by the deluge of comments appearing (and disappearing) on the Clear website about how they don’t want to be in a party led by a man who will write such things and then STAND BY THEM WHILE LEADER. In fact, the Mail on Sunday is running a feature on Peter Reynolds this Sunday, and I imagine it will prove the validity of what I just wrote. Is anyone keeping count of the number of people Peter has threatened to sue (whilst all the time continuing to post defamatory material about others on his personal, and the CLEAR website? Of course the officers of CLEAR may also be liable in consequence if anyone decides to sue him). Is Peter mad or bad? That’s the question. IMHO the former is more likely and the Daily Mail will have a field day and blame it on his drug use.